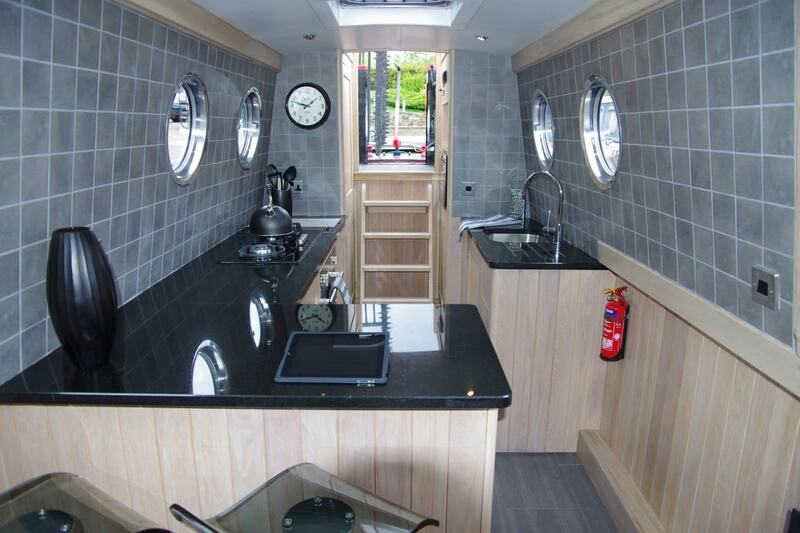 Reverse layout boat with access from the stern directly into the beautifully fitted galley. With hand-built solid oak kitchen and granite worktops, you will also find a full sized fridge, gas oven and hob as well as a microwave and a breakfast bar for relaxed dining when there are just two on board. Through into the spacious and comfortable saloon with seating for 4 that converts to a dining area as well as two singles or a double bed. 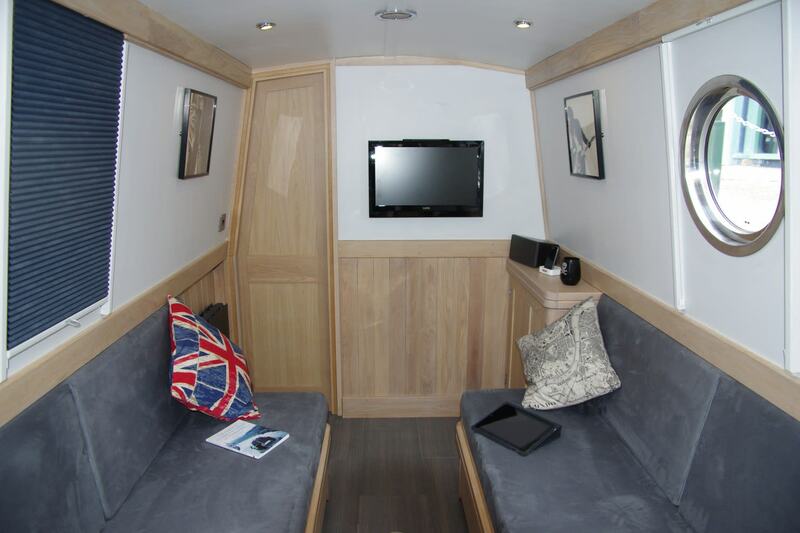 The saloon also features a TV and DVD player and a selection of DVD’s are provided for evening relaxation. A door through to the bathroom allows complete privacy for anyone sleeping in the saloon. The bathroom has a flush toilet, vanity unit, heated towel rail and full-size shower. Through into the front cabin which has a pull-down, cross over double bed for comfortable sleeping whilst also allowing use of the front cabin throughout the day. The cabin has fitted solid oak furniture with ample storage. She is available for bareboat charter, prices starting from £700.00 to £1700 per week. 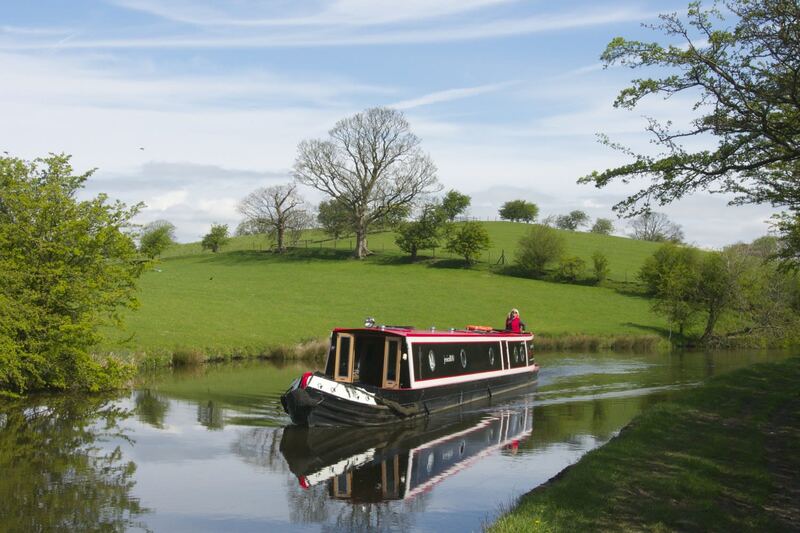 A days cruise East from Apperley Bridge taking in an ever changing landscape as you cruise into the city centre. Spend the night in the delightful Granary Wharf where there are plenty of Restaurants and Bars to choose from or take a short stroll into the City Centre for even more choice. Built by Sir Titus Salt to house his workers at Salts Mill the village is delightful and an absolute must visit. Pick up a leaflet from the information centre and take the village tour or visit the Hockney Gallery in Salts Mill. Lots of cafes, bars and restaurants to choose from including the cleverly named wine bar ‘Don’t Tell Titus’ – he was a staunch Methodist! One of the Wonders of the British Waterways and a must do for any canal enthusiast. Ascending or descending the locks is an amazing experience. The beautiful market town of Skipton has something for everyone. It’s fascinating castle, lots of shops and of course the market. Many Restaurants and bars to choose from as well as the famous pie shops. 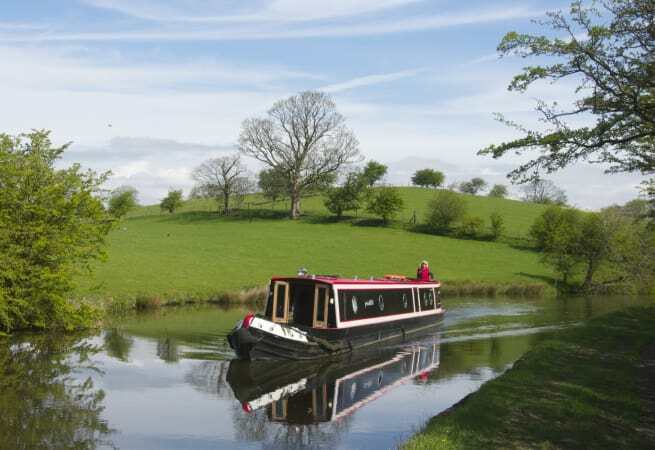 Above Bank Newton Locks you will cruise an amazing section of canal known as the bends – as the canal meanders and follows the contours of the land. Arguably the most picturesque section of the Leeds Liverpool canal. If you enjoy rural, peaceful moorings then this is the place for you. Famous for the double arched bridge which takes the A59 above the canal – a lovely mooring for a visit to the Cross Keys pub – but more away from the road noise. If you fancy a day out from the canal you can take a ride on the Keighley & Worth Valley Railway to Haworth – home of the Bronte Sisters. You will find more information on this and all the other towns and villages on route in our excellent on board information guide.